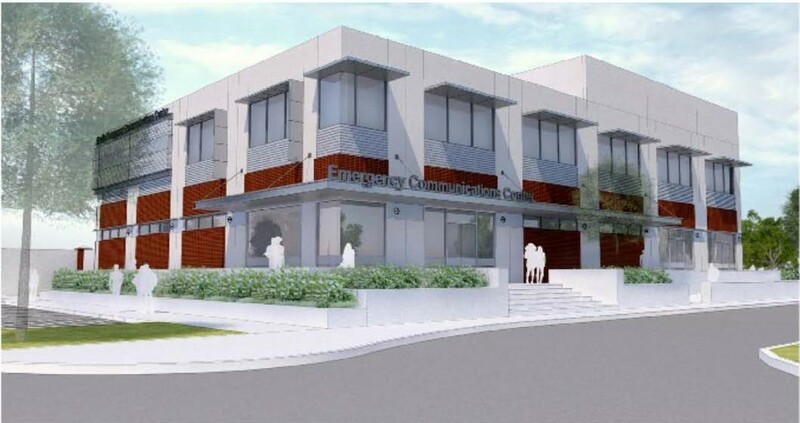 At the January 4 Visalia City Council work session council members voted 5-0 awarding an $11 million-bid to build the Visalia Emergency Communication Center (VECC). The winning bid went to Oral E. Micham Inc., a construction firm out of Woodlake. Two construction firms’ bids came in lower than Oral E. Micham’s. Both firms ended up withdrawing after they discovered mathematical errors in their calculations, leaving Oral E. Micham with the lowest bid. The new VECC building will be Visalia’s first civic investment in East Visalia and construction is scheduled to take 14 months, finishing up in March, 2017. Two more months will be needed to set up the facility in terms of furniture, equipment and personnel. The projected official opening is for the summer of 2017. The VECC building is the first of three buildings planned as Visalia’s Civic Center Complex. Because of the expense of the VECC, a new city hall and public safety building will not become a reality for several decades, though space for their construction has already been designated next to the VECC. The VECC building consists of a new 18,790 square-foot emergency communications center and sits on 4.2 acres, including curb, gutter, sidewalk, paving, landscaping and fencing. The VECC building will house the 911 Dispatch Center that will operate 24 hours a day, the Emergency Operations Center, the Fire Department Administration, the Traffic Management Center and the Information Services Center. The Information Services Center will serve as the hub for city information systems and technology management. This area will house the city’s computer networking and communications systems in a secured essential services building. The building itself is projected to cost $8,317,400 and the site work which includes a huge and expensive generator will be $2,477,800. The secured parking will cost $165,000. Oral E. Micham’s bid was a total of $11, 316,000. To raise money to pay for construction of the VECC building, Visalia is selling bonds. The city council voted that the cost of construction and interest not exceed $22 million. Because of Visalia’s A+ bond rating, which translates into lower interest rates, the total cost will be $17 million. The VECC will be constructed in the general area of School Avenue and Burke Street. Extensive road improvements to Burke, Oak and School Streets needs to be finished before the VECC opens its doors. Efforts to coordinate road improvements with building construction have been successful except for Oak Street. The city’s improvements to Oak Street will make it harder for the railroad company to make repairs to its rails. The railroad has suggested that Visalia pay for new, longer lasting tracks so repairs to the line will be infrequent. Visalia staff is in negotiations with the railroad becausethey don’t feel that the city should pay the tab for railroad improvements. Mayor Steve Nelsen felt that the completion of the VECC building was being held hostage by the railroad company. Suggestions were made to work over and around the railroad, but Nick Macia, the city’s community development director, said that significant improvements would still need to be made at the intersection of Tipton and Burke, where the railroad would have a crossing. As part of the connectivity plan and road improvements Oak and School Streets will be extended from Tipton Street to Burke Street. Visalia city staff is working to schedule a groundbreaking ceremony to initiate start of construction for the VECC sometime in late January. The groundbreaking will be sponsored by the Police Department and Fire Department Administration, with coordination and assistance from the contractor, who will be supplying a commemorative sign.